Home Reviews SEND and Discrimination in Schools, A Legal Handbook, review. 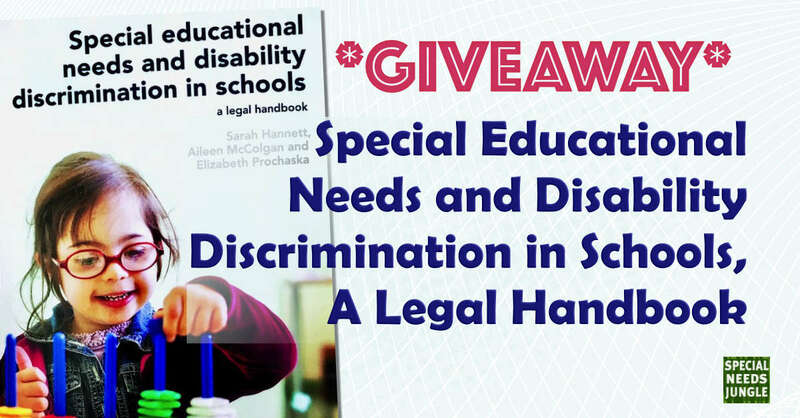 The book covers the law and policy of SEN and disability discrimination in schools with detailed guidance on the process of obtaining an EHC plans and SEN appeals. The authors, who are all barristers at Matrix Chambers, London have extensive expertise in education law and cases involving SEND. The forward is written by former IPSEA head now Tribunal Judge, Jane McConnell MBE. The book is aimed at parents of children and young people with SEN, local authority SEN officers, legal advisers, teachers and professionals working within education. It is over 400 pages in length but it is a handy A5 size which is easy to carry around. The appendices contain extracts from the SEND Code of Practice and primary and secondary legislation. As it is a legal handbook, it provides in depth legal research supported with comments. 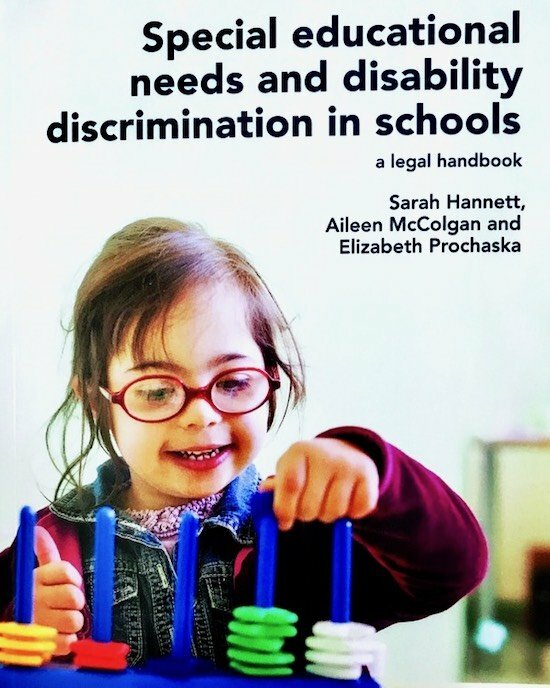 Contents include general principles, EHC assessments and plans, appeals to the First-tier Tribunal, children and young people with SEN in detention, disability discrimination, challenging the decision of the First-tier Tribunal, school transport, and inter-authority disputes. The appendices contain extracts from the SEND code of practice, primary and secondary legislation. There are also footnotes that refer to cases or legislation, which provides an in-depth explanation or examples to support the text. For example, residential placement or waking day curriculum relates to the case Hammersmith and Fulham LBC v JH UKUT 328 (AAC) per UT Judge Lane at paras 18-19. The chapter commencing an appeal is concise and clear, and parents could follow this quite easily when making an application to the Tribunal. Similarly, the chapter on children and young people with SEN in detention will be useful to local authorities because it lists the key points about their duties. There is also a section which covers relevant points such as when there is a breakdown in the relationship between the parent or young person and the school, and parental part-payment of school fees. 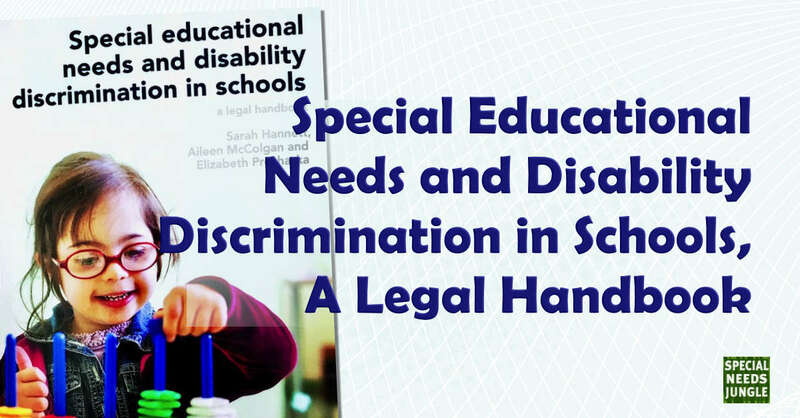 The chapter about disability discrimination is useful as it sets out in detail who can bring a claim, time for bringing proceedings, commencing a claim and remedies. The book costs £45 BUT for SNJ readers there is £10 discount if purchased by 2 October 2017. You can purchase the book at full price from here.